Mommy and Me Music! is for infants, toddlers, preschoolers, and the mommies who love them to come together and play together musically. 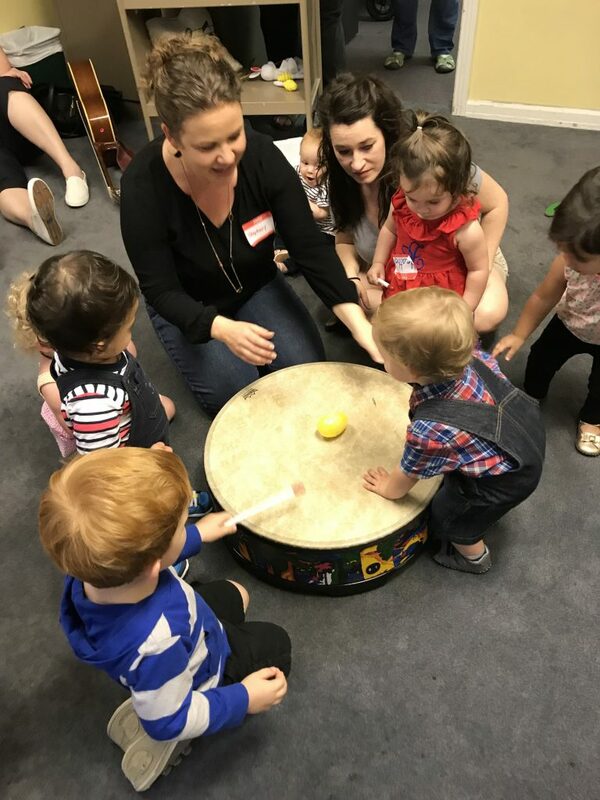 This music class targets developmental milestones through singing, chanting, instrument playing, signing, and movement. It also provides a wonderful opportunity for socialization for our little ones and their mommies! Music class will be led by Stephany Bryant, a board-certified music therapist. In April, our Tuesday morning Mommy & Me Music meets April 2 and April 16, 9:30 – 10:30am in Room 200. Class for ages 2 1/2 and above will start at 9:30am, and the under 2 1/2 ages will meet at 10:00am. The Playground will be open for fun all morning too! Look for the Facebook Event with all our dates and be sure to mark COMING if you can make it! Our Wednesday night Mommy & Me and Preschool Music meets every Wednesday at 5:30pm in Room 200. Families are welcome to come and follow up with Wednesday Night Dinner in Sanders Hall too. (RSVP here) Evening classes are also offered along with free childcare. If you have any questions, please feel free to contact Jill Merryday, Director of Children’s Ministries, and we hope to see you soon!